Spinach And Chorizo Red Pesto Penne. 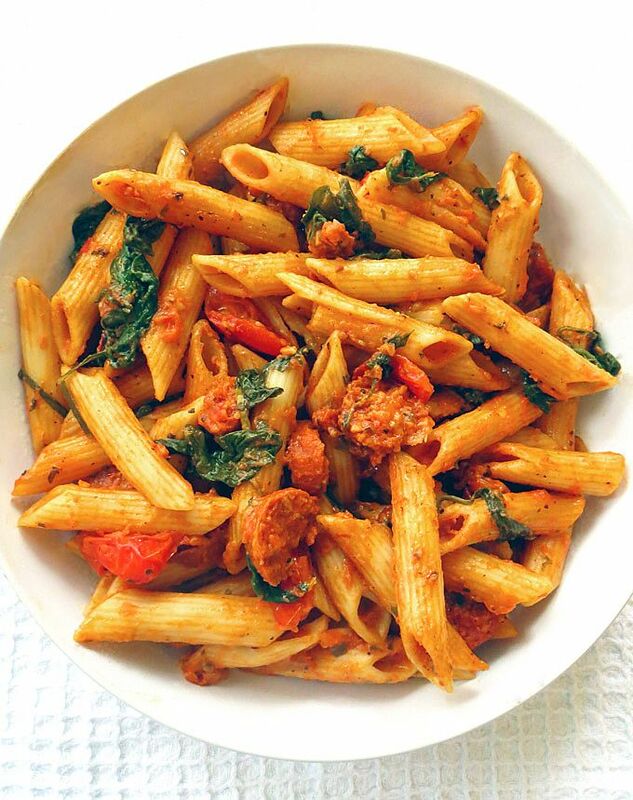 A healthy pasta dish with spinach, tomatoes and chorizo, smothered in a flavourful red pesto sauce. On the table in 20 minutes!